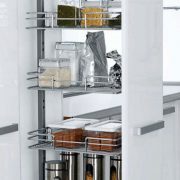 Telescopic Larder with 4 Full Extension Shelves. 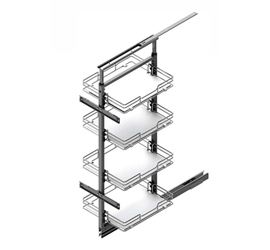 Fits in 21" wide Frame Cabinet OR 18" wide Frame less Cabinet. Adjustable Height fits Multiple Door Sizes.